Retiring Queen Anne’s County’s Orphans’ Court Chief Judge Joseph V. DiPietro, center, was recognized by the county commissioners and many of his peers, Tuesday during the October 9, commission meeting. 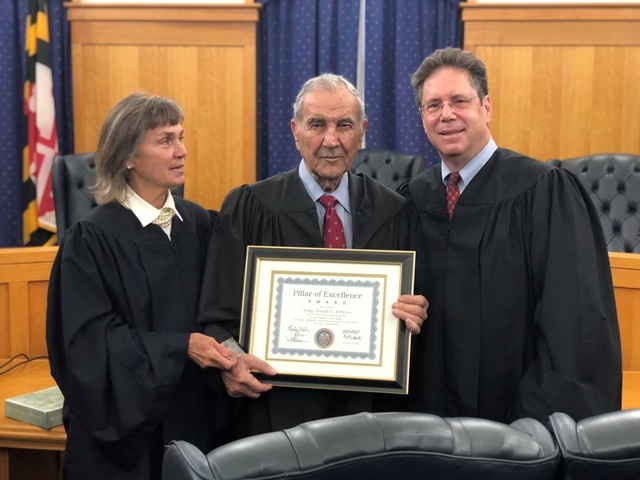 Judge DiPietro was elected in 2002 and was re-elected four times to the Orphans’ Court. He will retire at the end of this year. He is pictured with fellow Orhans’ Court Judges Kimberly Jean Cascia and Dr. Eric S. Wargotz.